Byron Scott’s tenure as Los Angeles Lakers head coach has not been a smashing success—witness just 35 wins and a mind-boggling 116 losses and counting. This obviously begs the question of who is best suited to succeed him. But it’s hard to ignore the obvious—this is a team in desperate need of a fresh start. Scott’s lack of offensive vision, his inability to breathe fire into the team’s defense and his frequent tone-deaf harpings on players have run their course. Enough with the hand-wringing about what hasn’t worked. It’s time to consider some of the best candidates to get this team back on course. Ettore Messina is a bona fide coaching legend in international basketball—a winner of four Euroleague championships along with too many other honors to easily list. The Italian League Hall of Famer has also been making inroads in the Association as an assistant coach to Gregg Popovich and the San Antonio Spurs for the past two seasons. Lakers fans have some additional familiarity with Messina—his first NBA experience came as a full-time consultant under Mike Brown during 2011-12. But while Messina had a reputation for ruling with an iron fist overseas, he has willingly absorbed the evolving nuances of the NBA under Popovich, blending his long-preferred half-court principles with fast penetration opportunities, ball movement, pick-and-roll, double screens and zipper sets. In other words, Messina has embraced change while it has taken Scott nearly two years to incrementally loosen his death grip on an antiquated Princeton offense. Scott Brooks led the Oklahoma City Thunder to five straight playoff appearances during his time there, including a trip to the NBA Finals in 2012. However, he missed the postseason last year and was subsequently let go. It is unfair to place all the blame for last year’s downturn on Brooks, as the team was riddled with injuries. That said, he had a long run with the organization and failed to get them all the way to the ultimate prize—a championship. Still, he turned the Thunder’s fortunes around during a challenging transitional period, vastly improved the team’s defense and developed a couple of superstars in Kevin Durant and Russell Westbrook. Brooks also enjoyed lasting support from his players that could conceivably transcend into the future. It's hard to ignore the possibility of a reunion with Durant, who will be a free agent this summer. So why not L.A. instead of the Big Apple? Another potential wrinkle could be Westbrook’s free agency in 2017. But even if that doesn't happen, it's not at all hard to imagine Brooks cultivating another point guard named Russell—namely, D’Angelo. Mark Jackson’s coaching resume is in a word, unusual. It consists of a single job—leading the Golden State Warriors to the playoffs in his second and third years there, and being widely credited with their transformation from entertaining offensive showboats to a well-rounded team. However, Jackson was fired after Golden State lost during the first round of the Western Conference playoffs in 2014. He was replaced by Steve Kerr, who got the Warriors over the hump in his first season—the reigning champions are now poised for a run at back-to-back titles. Mark Jackson discussing whether the Warriors hit 73 wins is high comedy. Jackson was a gutsy competitor during his 17 years as an NBA point guard, and he brought that brash attitude and work ethic with him in his one and only coaching gig, getting players to buy into defensive responsibility while also irritating ownership with his stubbornness. Warriors co-owner Joe Lacob cited Kerr’s flexibility and willingness to surround himself with other top basketball minds as a key difference with Jackson. Jackson’s headstrong reputation has obviously sent up red flags around the league, but he also deserves credit for firing up his players and changing a culture in a very short period of time. Since being dismissed by the Chicago Bulls nearly a year ago, Tom Thibodeau has been a part of nearly every debate surrounding head coaching vacancies. Yet he remains a man without a job. It is almost unthinkable that the defensive-minded, work-obsessed motivator will go through another summer without getting hired—he’s too good and too widely respected. However, Thibodeau is also not the man for every job. His best landing spot would be with a veteran, well-developed team that needs a no-nonsense boost. The Lakers wouldn’t appear to be that fit—the team is still rebuilding and stocked with embryonic talents who need time, attention and nurturing. But imagine the type of player Julius Randle could become with Thibs’ defensive concepts and footwork principles, or Larry Nance Jr. or Tarik Black for that matter. Ultimately, the timing won’t be right for the young Lakers and the ex-Bulls coach, but he will be endlessly discussed nonetheless. At 35, Luke Walton represents the face of the future in many NBA circles. That said, he already has a great job—he's in his second season as an assistant for the Warriors, and is the owner of a 39-4 record as interim head coach while Steve Kerr was recovering from back surgery complications. The million dollar question is: how hotly does Walton’s desire to shepherd his own team burn? And for that matter, why leave the best team in the league for one of the worst? Luke Walton right now watching the Lakers' young guys: "This will be a fun group to coach." Walton’s previous coaching experience was a brief run as an assistant for the University of Memphis during the 2011 NBA lockout and a season as a player development coach for the Los Angeles D-Fenders. 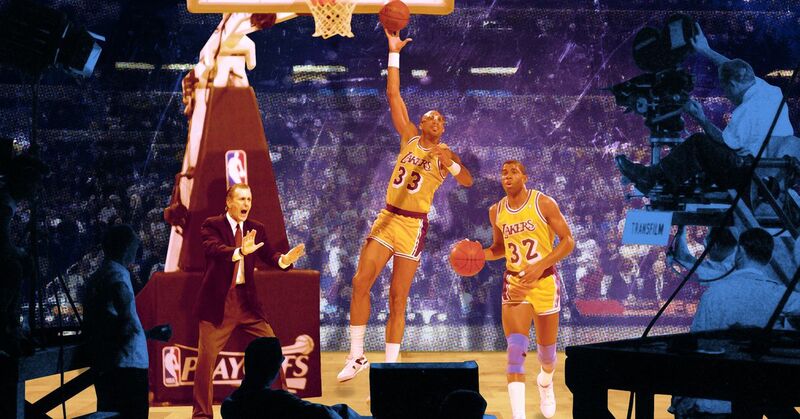 But Lakers fans best remember him as a small forward for nine seasons in purple and gold, including two NBA championships, the son of NBA legend Bill Walton who also enjoyed a favored status under the tutelage of Phil Jackson. There is a Lakers connection that is hard to ignore. A less complicated scenario would have the Zen Master staying with the New York Knicks while Walton creates his own coaching legacy in Los Angeles for a young, evolving Lakers team. All five of the coaching candidates listed here possess intriguing qualities. That said, it is Walton who is best suited to lead a young and impressionable Lakers squad back to relevance.